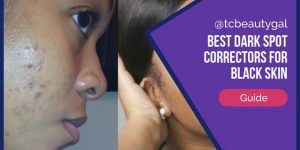 7 Hot Tips to Remove Dark Spots Fast | Finally Even Out Your Skintone! 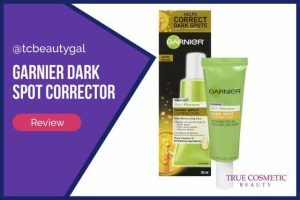 Dark spot removal questions are the number one request that we get here at True Cosmetic Beauty, and so today you get some answers. The simple truth is that choices you make about your daily routine can help more than anything. And that’s the case with 5 of the 7 tips you’ll read below. You’ll be happy to learn that each of these is a simple fix. But the real ‘magic’ is in combining several of these as part of a bigger lifestyle shift that can lighten dark spots and much, much more! Let’s dive right in. If you have any questions after reading these, just shoot me a message. And we’d love to hear your own ideas if you’d like to share them. Exfoliating is quite possibly the most important tip for getting rid of unwanted, dark skin. This can be done using simple facial scrubs at home. My personal favorite is a simple little scrub that I whip up using coffee grinds left over from used k-cups in our house. I’ll do a post with the ingredients and routine a bit later. If you have the extra time and money, visit a local day spay for more comprehensive professional services such as chemical peels or even microdermabrasion. Exfoliating removes the outer most layer of the skin, which often includes slightly darker or even scarred tissue. This reveals a fresh and beautiful layer of newer, less damaged skin. How often should you exfoliate? Remember that, to some degree, just using a washcloth in your daily bath or shower is at least some degree of exfoliation. I favor using a loofah periodically, too. If you don’t have sensitive skin you should aim to exfoliate twice a week. If you do have sensitive skin, keep the friction against your face light and try doing it only once a week or even once every 10 days. 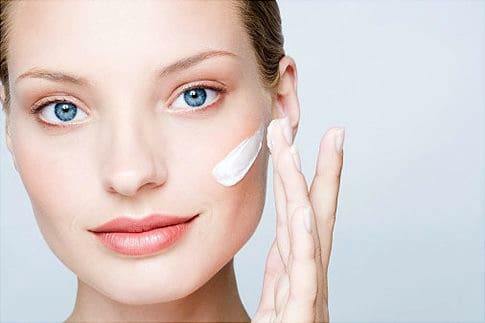 One of the fastest and most effective ways to lighten up dark spots on your skin is to use a skin lightening cream. 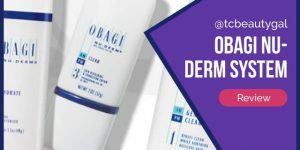 These cosmetic products are specifically designed to reduce the effects of things like acne scars, dark spots, and even freckles. We have written about a lot of them in various reviews and guides on this site, but picking a favorite was not easy. 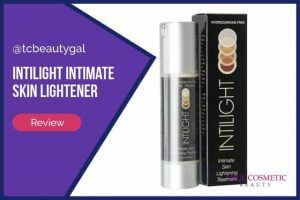 While I don’t have particularly sensitive skin, I don’t use chemical-based (hydroquinone) lighteners, though. 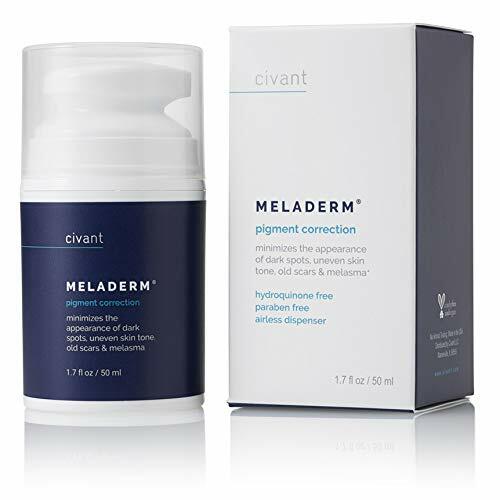 One of the highest rated and safest creams available is one called Meladerm by Civant Skin Care; it’s made up of all-natural plant extracts and has been proven to work very well for nearly any lightening purpose. 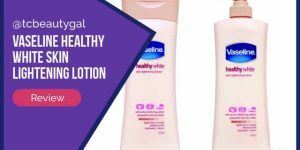 You can generally expect to see pretty decent results in about 2 weeks of use, but melanin distribution is a little bit different in everyone, so it can take longer. The bottom line is that no other lightening cream I ever tried was as good. If you’ve never thought of water as part of your beauty regimen, that’s pretty understandable. But if you consider that the cells inside your dermis are almost entirely comprised of water,this makes total sense. Skin cells respond beautifully to skin hydration. If you want to minimize dark spots, keep all the moisture possible in your skin and drinking plenty of water is super valuable. UWhealth states that drinking 8 glasses of water a day for a couple of weeks will lead to more radiant-looking skin and help keep you free of toxins. I’ve also fond that drinking plenty of water keeps my weigh more under control and I feel a good deal more energy throughout my busy days. Another important factor that can greatly alter what happens with your skin is your diet. Certain foods are proven to boost your body’s ability to repair and even lighten up your skin. These include: yogurt, buttermilk, bananas, garlic, flaxseed and others. To learn exactly what foods to eat and what they can do be sure to read Prevention.com’s 10 Things to Eat for Perfect Skin for a better understanding. Here’s the thing. In general, the same things that keep your skin in tip top condition are the healthier foods that tend to minimize inflammation and bloating. You won’t find trips to McDonalds on the list, for example. But look, we were never meant to eat junk food as often as folks try to do it these days. And even if you’re not skin-obsessed, the obvious potential for heart health and weight loss should be some motivation. Sun worship dates back more centuries than I can count, but we now a lot more today about how UV spectrum rays damage the skin. The potential for skin cancer alone should make you think twice. So you wanna know what the worst thing is for your skin? That’s right – the sun. You may not like this little fact but the sun is definitely your skin’s worst enemy. Prolonged exposure to sunlight causes your skin to dry out, age faster, and even produce more dark spots. I’m not suggesting that you live your life in a veil, but limiting prolonged exposure to the rays is going to have a huge payoff as your skin ages. The damage done by excessive tanning is largely irreversible. It causes PERMANENT damage that you’ll spend a future fortune trying to cover up. I watched my Mom lay out in our backyard in a wisp of a bikini with mayonnaise slathered all over her body! She just loved that deep, dark tan she got from every summer. But it really began to ruin her skin before she was out of her 30s. She developed the telltale tanner wrinkling and her skin just always looked extra dry. She died of cancer at the age of 60 – origin undetermined. But I don’t think her time spent baking in the sun was any friend to her. I’m sorry for sharing a ‘downer’ of a story with you, but good skin is not the only thing we’re fighting for here. If you absolutely must be out in the sun be sure to wear a high SPF, broad-spectrum sunscreen at all times. This will protect your skin from harmful UVA and UVB rays. Vitamin C (ascorbic acid) is a tremendous supplement for the human body. For me personally, it’s been invaluable for bouncing back from countless sniffles and aches that I caught from my kids. It’s also amazing for keeping proper acidity in your urinary tract. But we’re talking about skin here,and that’s an area where Vitamin C excels. How? 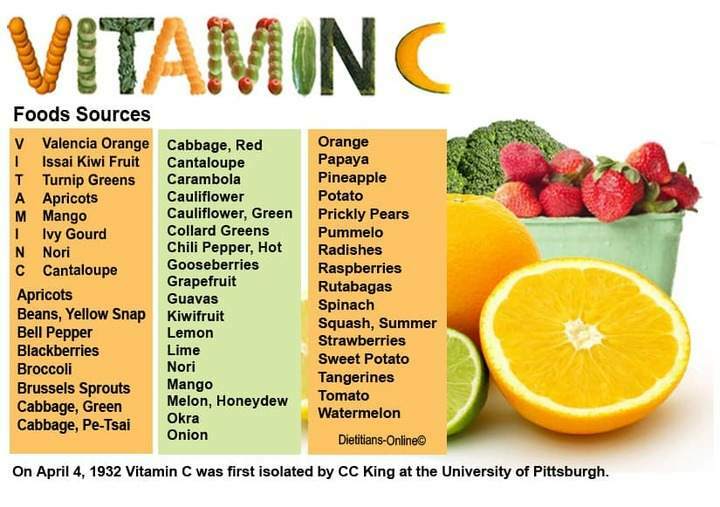 Vitamin C effectively reduces the amount of melanin that your body produces. Melanin is the pigment found in your body that causes certain areas of your skin to become darker than others. Most dermatologists recommend using either 500 or 1000 milligrams of ascorbic acid daily for best results. widely known to be extremely helpful in the skin care process. It can help improve the appearance of skin and even reduce dark spots. 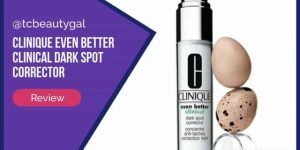 In my opinion, if you just adopted the six tips above, you’d be light years ahead of the game when it comes to controlling dark spots (and a bunch of other skin issues to boot). But not everyone has success in lightening. 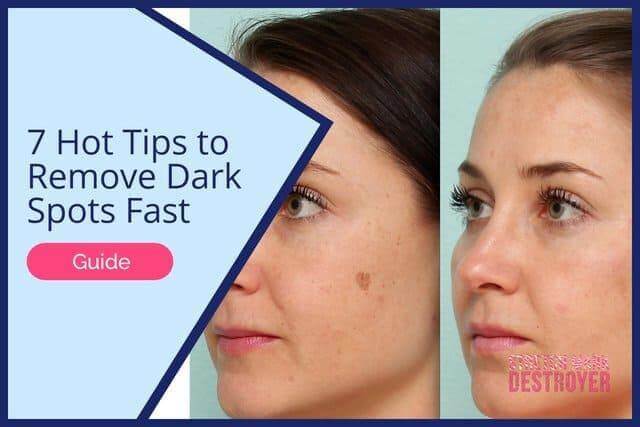 For some of you, the first six tips demand changes that you’re just not ready for, and some people unfortunately have much more stubborn skin than others. If none of the methods above work for you, you may want to consider talking with a dermatologist for more potent, professional-grade options. Most of us will prefer natural solutions whenever possible. When I review beauty products, the ones that are free of chemical agents are always the ones I trust on my skin the most. But I’m not a dermatologist. More importantly, I’m not YOUR dermatologist and we all have unique skin characteristics. Even if you do decide to use the tips above you should consult your dermatologist beforehand just to be sure these methods will help you. Good luck out there, friends.